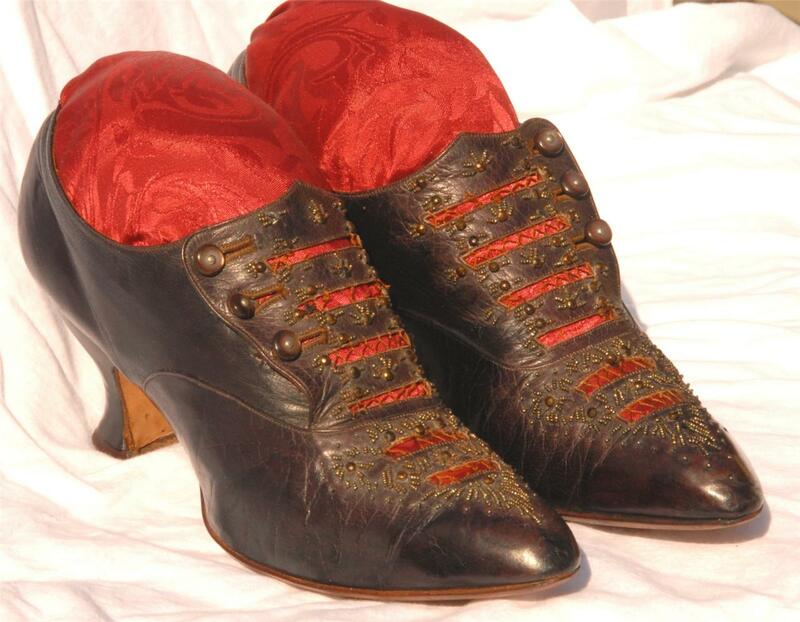 This is a FANTASTIC pair of women's leather victorian button up shoes with much sought after spool heels. 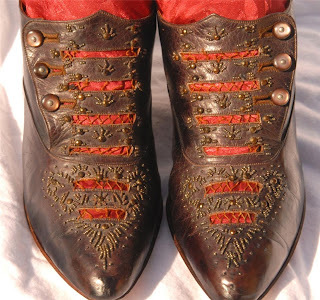 They are a nice black/brown leather and each have 3 mother-of-pearl steel shank buttons. They have 6 openwork cutouts with HAND-SEWN netting down the front which are decorated with beautiful HAND-SEWN faceted cut steel beads. Lots of hours went into making VERY SPECIAL these shoes. They measure 5" tall, 10" long, and 3" wide. I have stuffed them for display (which also protects from bending and cracking). 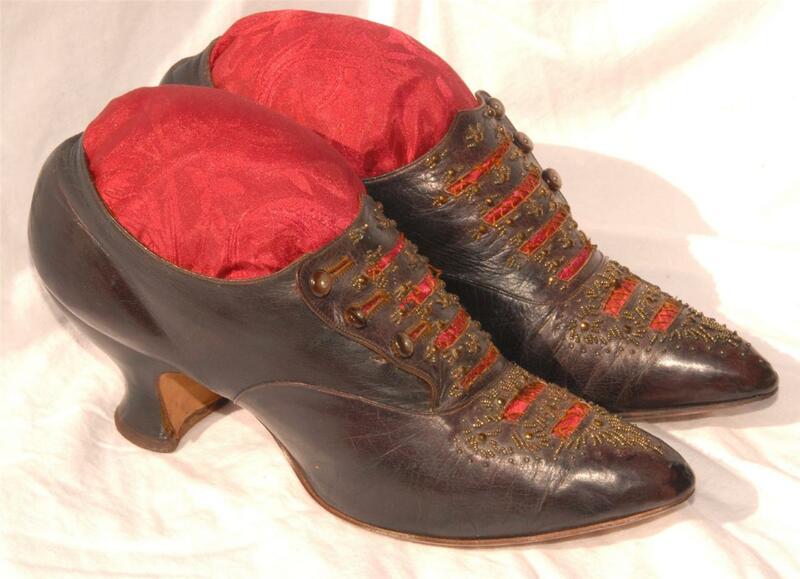 They are from the victorian era, around 1870 - 1890. There are no markings inside for sizing or maker. 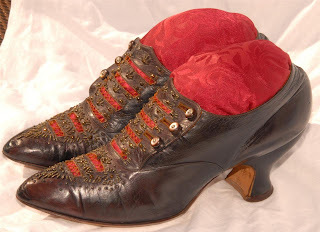 The superb quality of the late 1870's to early 1900's - before mass production -- is evident in this AMAZING pair of shoes. 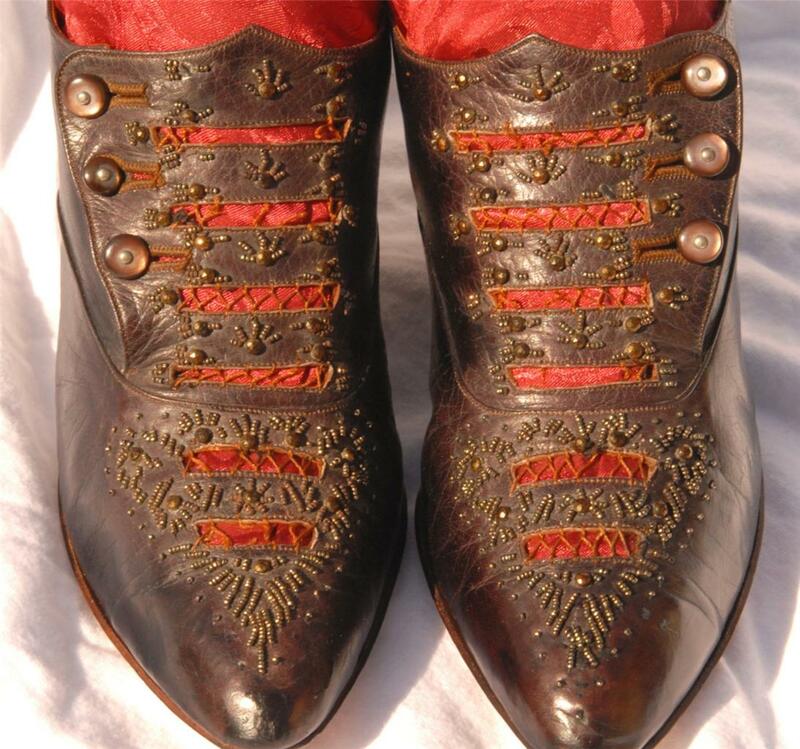 You can see by the way the shoes are put together that they were very high quality items in their day. There are a few small scuffs, but the leather is still shiny and soft and in great condition otherwise. There are a few beads missing and some of the netting is gone, but this is not very noticeable and does not detract from their beauty, and they still display fantastically! Also, the middle button on the right shoe is a bit smaller than the others. 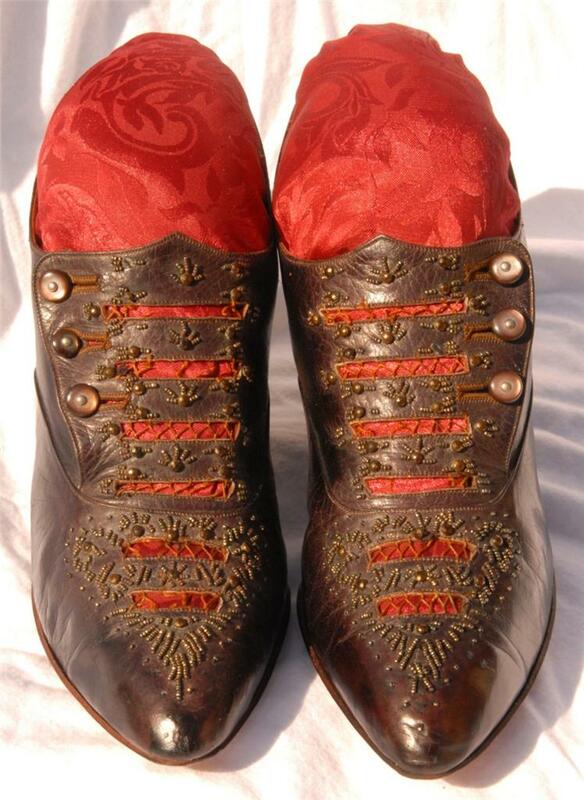 I have had these shoes for 15 years and never noticed it until looking at the pictures I took to put them on ebay. They have been well taken care of, and I'd say that overall, they are in wonderful condition, especially considering they are 120 -140 years old. I'm thinking 1880's for these. However, the seller is right - this style was popular for a while.